If you are one of those people who want their bedroom to look elegant and attractive but cannot afford all that amazing decorative items; no need to worry because you can make your room elegant with some simple do it yourself (DIY) ideas. All you need is a little bit of patience and some creative ideas. Do not worry, you don’t have to spend a fortune to bring a new look to your bedroom. Clutter is a big letdown in any interior, be it the living room, kitchen or bedroom. Any room filled with clutter will obviously look cheap. The amount of clutter will be more when it comes to the bedroom as it is a personal room and no one comes into the room without permission, one won’t give much attention to the clutter that has been piled up. But no need to worry, just make some time to clean up all the clutter. If you require help get some. 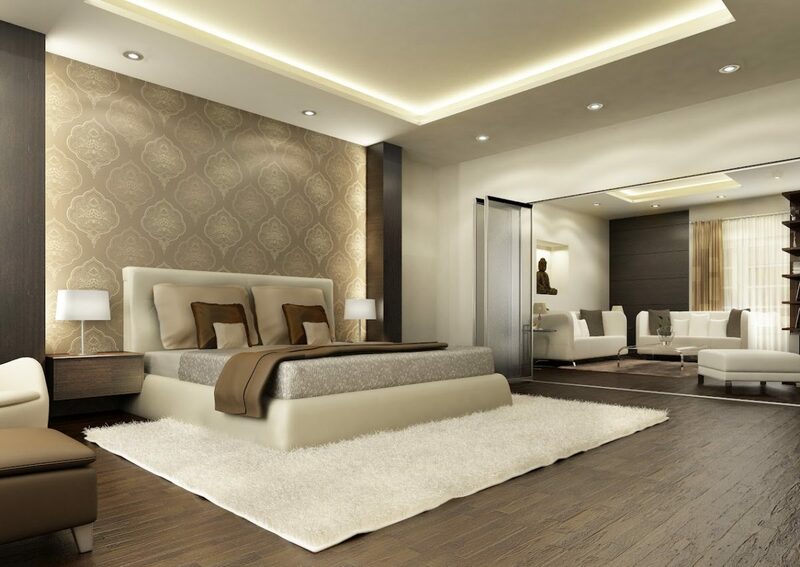 Think about some bedroom wall décor ideas, these ideas will help in bringing a whole new look to your bedroom. There are different types of designs present in the market. You can select the perfect one for your bedroom. From flowers to cute babies, you can opt for an interesting idea. The entire look of the house will be dependent on these wall decorations. Greenery always brings in a new look for your room. It is the easiest and cheapest way to make your room look more elegant. If you want your room to look at its best, then this will be the best way to decorate it. The size of the plants isn’t going to matter here. Just pick two or three pieces of beautifully look plants and place it in your room. The elegance of the room increases. Different kind of plants like money plant, bonsai etc look extremely good in a bedroom. There is no rule asking you to keep the hardware that came with your nightstands and hardware. If they are beautiful you can keep them or else you can change the hardware with the ones that you like. This is another affordable way to change the looks of the room. You can just buy a normal tray and paint it with some metal color like gold or silver and place it on your dresser. Keep all your belongings on the tray and this is another trick that will make your room look more elegant. Do not throw your dresses, books or anything else on the floor. Keep the floor clean and empty. Remove all the clutter, the cluttered room will never give an elegant effect. You have to take time and clean the entire room and make sure that the floor is clean and empty. Decorating bedroom is not that difficult task. Some easy DIY ideas will brighten up the mood of your bedroom. Some of the amazing bedroom décor ideas will cost you a very less amount but brings in a different style for your bedroom. Next PostHow are endowment plans different from term plans?